I've been merrily jingling throughout Ayrshire now for over 5 years - and loving it! I started as a class teacher and became the franchisee in July 2015. 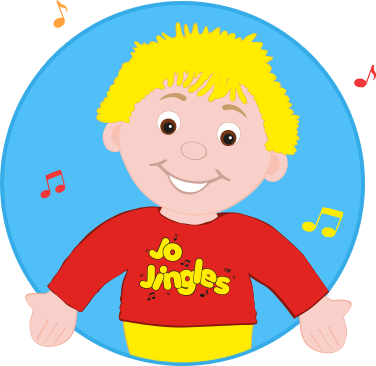 When my daughter was younger I took her to Jo Jingles classes and loved the way music and song was used to introduce themes and concepts in such a fun and interactive way. She now has a great sense of rhythm and loves dancing, singing and playing the violin. I found it fascinating to watch her develop in classes through song, music and dance and am proud to be offering the same experiences, fun and laughter to other children in our classes today! Hi there, I've been with Jo Jingles for over 2 years and run classes in Kilmarnock, on Tuesday in Ayr and our specials needs classes. I have 4 children of my own - my youngest is soon to start at university and plays in the Ayrshire Fiddle Orchestra so there's lots of music in our house! I also have lots of fun helping out with a local Brownies group. I'm the newest recruit to the Ayrshire Jo Jingles Team having joined in the summer of 2016. I am now running classes in Troon and Monday classes in Prestwick. I have two grown up boys of my own and many hobbies. I am involved with Troon Anchor Boys and the Scottish Fiddle Orchestra to name just two. I love getting to know all the children and parents and look forward to welcoming you to classes. Susan is amazing and makes our Thursdays great and full of fun. We love dancing with her too! Good variety of activities, not large classes. 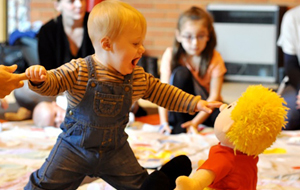 Fun and upbeat, my son loves it and talks about Jo Jingles class throughout the week. Jo Jingles makes me smile. 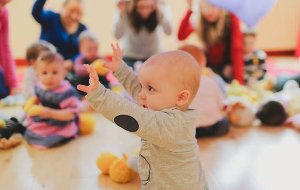 I have lots of fun learning songs, learning colours and shapes as well as all the friends I have met. It is so much fun and I get to meet new boys and girls. Margret is lovely too. It is great fun. Margret is fantastic with the kids. Lots of variety, both my kids love it. The music gets you up on your feet and Fiona makes the classes really fun. I like to play the instruments and I love tidying up. Arthur has come on so much with coordination and interaction using the instruments. He uses them at home and recognises the songs when sang to him. A fantastic class that my son greatly enjoys. Great energy and fun every class. A fantastic class that my son greatly enjoys. Great energy and fun every class. It's a great class to meet friends - hopefully ones my son will continue to keep. It is the highlight of our week. Rated excellent for class teacher who has a super rapport with the children and delivers each class with enthusiasm. Thank you! Fantastic 8 years of Jo Jingles! Myself and my 2 friends have made some great friends through Jo Jingles. Fantastic 8 years of Jo Jingles! Myself and my 2 friends have made some great friends through Jo Jingles. It was a brilliant way to meet people. Kerry has been brilliant. It will be strange not to be there anymore! The class is my grand-daughter's highlight of the week. I think the concept & classes are excellent with lots of variety but familiar songs fitted into different contexts. Love the themes and well presented. Susan has been very helpful in the development of my little girl's speech and movement. Susan has been very helpful in the development of my little girl's speech and movement. She has a lovely nature and always makes everyone feel special on every visit - thank you! 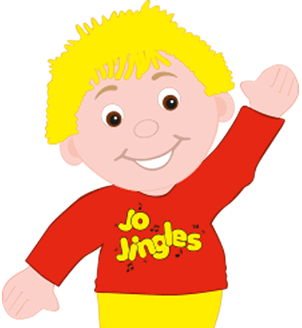 My daughter loves Jo Jingles and always looks forward to going. She joins in with all the actions and loves all the musical instruments. 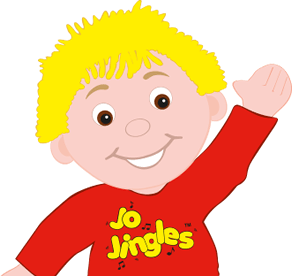 My daughter loves Jo Jingles and always looks forward to going. She joins in with all the actions and loves all the musical instruments and sings along to all the songs. She loves it so much we bought her her own Jo, she sleeps with him every night!! I would definitely recommend going to one of Susan's classes.